Many people have a casual understanding of foster care, including some of the issues that bring children into the system. But Brenda Lawrence, executive director of Family Design Resources, said they may not know that while most children will return to their biological families, many will not and potentially "age out" of foster care without finding a permanent home. "And while we work very hard to find adoptive homes for them, or permanent situations for them, still a thousand age out" in Pennsylvania each year, she said. 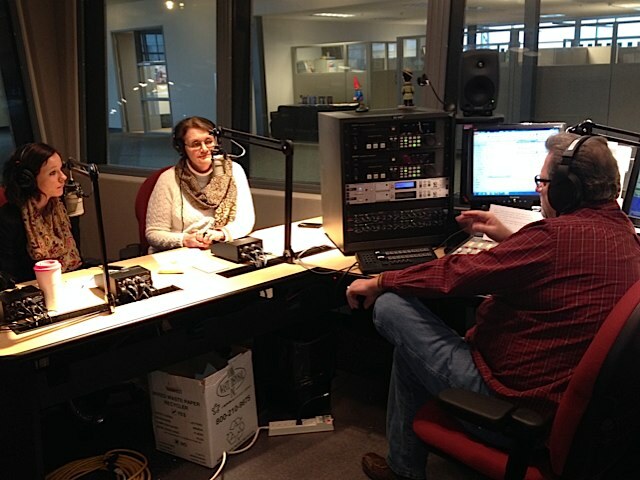 Lawrence and Michelle Nauman, Family Design Resource's youth advocate, were guests Jan. 12 on WITF-FM's "Smart Talk" program. They joined host Scott LaMar for an hour-long discussion about foster care, adoption and permanency. Nauman regularly talks to groups -- comprising case workers, lawyers, judges, youth in care -- about her experience growing up in foster care and the hardships she faced when she left foster care at age 18. She wasn't prepared for what faced her, which is why her message to foster youth is to make better decisions than she did. She encourages them to stay in foster care: Pennsylvania's Act 91 allows youth who meet certain conditions to continue receiving foster care benefits until age 21. “Because I had this whole world in front of me and I didn’t really know anything about it," she said. "Before I left foster care, I was catered to. I didn’t have to worry about scheduling my own doctor’s appointment or figuring out insurance or figuring out how I was going to get to work. When I left foster care, I didn’t have a car, I lived with a friend. "I did finish going to school, and I did graduate. However, once I graduated, then I had even more freedom and I took all the money that I had saved and I blew it within a week. And then I didn’t have a job because I had moved. I had all this freedom so I was able to make all these choices that no one was there to tell me were wrong. "Probably not the best idea to just go and move six hours away when you don’t know anybody to [live with] a person that may be family but you don’t know them. I didn’t have anybody telling me that that was probably not the smartest decision and it landed me homeless with a 15-month-old." Lawrence noted that the United States is an "adoption-friendly nation" and that Pennsylvania, through the efforts of the Statewide Adoption and Permanency Network (SWAN), has become increasingly effective at helping children move through foster care, either returning to their biological families or being adopted. Each year, she said, approximately 2,000 youths in foster care are adopted. WITF's LaMar pointed out that when many people think of adoption, they think of infants. Nauman made her case for foster youth.